This is not your average bowl of Alphabet Soup. Substitute the broth with Beliefs and the meatballs with tinges of Controversy. Now, attempt to take a spoonful into your mouth. Does it sting your bottom lip and the tip of your tongue? Does it feel too hot for you? Do you know this, yet want to have more? Excellent! 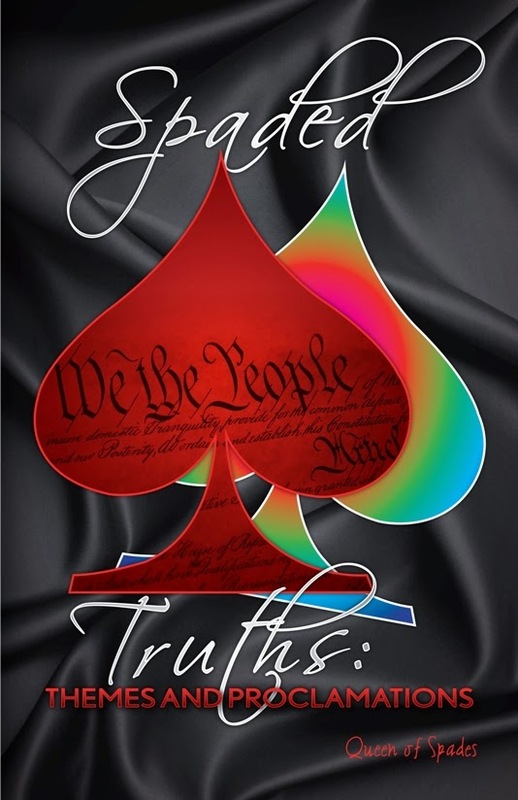 Indulge in Spaded Truths: Themes and Proclamations—a delectable mix of creative uses of the letters A-Z with social and political viewpoints from the twisted mind of Queen of Spades. This dish is engineered to provoke multitudes of reactions to reach the ultimate pinnacle: mental stimulus and satisfaction. Disclaimer: Some of the content may not be suitable for those under eighteen. To read my short stories, make Smashwords your 1st stop! Bought a Kindle version of my work? Click below to get it Authorgraphed!